Agriculture sector, which is the main source of income for more than 40 percent of Azerbaijani population living in rural areas, should reconsider the advantages of the agricultural insurance for its further development. Experts believe one of the causes of underdevelopment of agricultural insurance in Azerbaijan is the lack of awareness of farmers on insurance and its capacities. Another factor is lack of necessary data. 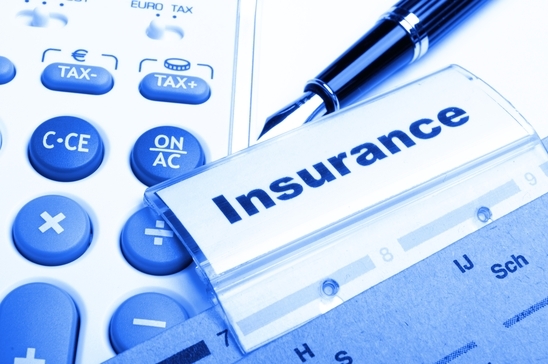 Head of the State Insurance Supervision Service under the Azerbaijani Finance Ministry Namig Khalilov said the sphere of insurance is not sufficiently developed in the country. Azerbaijan’s insurance companies are not ready to engage in agricultural insurance because of lack of necessary infrastructure, Khalilov said at a panel discussion on improvement of mechanisms for agricultural insurance. The statistical data is necessary to determine the degree of risk both by regions and by product, while it is necessary to train experts, he noted, saying that the international experience in this field should be applied in Azerbaijan. The international experience shows that financial mechanisms are needed for the sustainable development of the agricultural sector, one of which is insurance sphere that can protect the interests of agricultural producers, he noted. “First, this sector has a great potential to increase its share in the GDP. Second, with the development of the agricultural sector the solution of social problems in the countryside can be achieved: the population will be able to earn more, the problem of unemployment and food security would be solved,” he stressed. Azerbaijan is preparing the relevant legislation for the mass use of agricultural insurance in the country. Currently, the government subsidizes agricultural insurance, but the coverage is still insufficient. The share of public financing of premiums in agricultural insurance was increased from 25 to 50 percent in the law on assistance and agricultural development in Azerbaijan, approved in 2007. The agricultural insurance is also one of the riskiest tools. UThe list of crops, insured by the state budget, includes wheat, barley, maize, sunflower, potatoes, sugar beets and vegetables. The average tariff for agricultural insurance in Azerbaijan is about 1,500 manat (about $1,427) per year (five percent per hectare), and this despite the fact that the average profit per hectare is approximately 25,000 manat (about $23,778) per year. The state budget annually envisages the amount to cover the cost of 50 percent of the insurance contract with the farmers, but, unfortunately, it is never used entirely at all. To address the data problem, the Agriculture Ministry aims to create electronic database for insurers. The Agriculture Ministry has allocated 4.8 million manat (about $4.6 million) to the creation of “e-Agriculture” in 2015, said Rahim Novruzov, chief consultant at the financial and accounting department of the Ministry. Using the system, insurance companies will get access to the database of the agricultural sector and will be able to use it to predict risks, which will ultimately lead to increase of interest to the agricultural insurance. He also noted that work on creation of this system is carried out in all regions of the country, and the system will include all the necessary information about the sector in each region separately, including the amount and types of products grown by farmers for several years. Meanwhile, a low level of budget implementation in the framework of preferential insurance of risks in agriculture is observed in Azerbaijan, Novruzov added. Despite the fact that the state budget provided about 7.5 million manat (about $7.1 million) for these purposes in 2007-2015, the funds is being developed at around 40,000-60,000 manat (about $38,000-57,000) per year. “One of the reasons for this is lack of awareness in the sphere,” Novruzov added. Farmers have a little interest in agricultural insurance due to the low level of services provided by insurance companies, he noted.